Be sure to check out and bookmark my Black Friday/Cyber Monday page for updated news on sales from all the big equipment retailers. 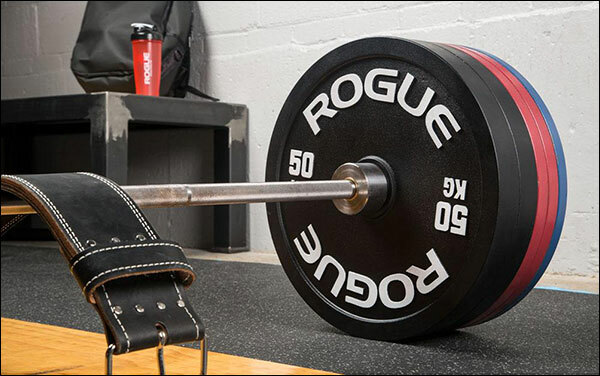 Rogue Fitness always has a ton of tshirts, hats, training shoes, lifting accessories and even real equipment in the Deals section of their website. 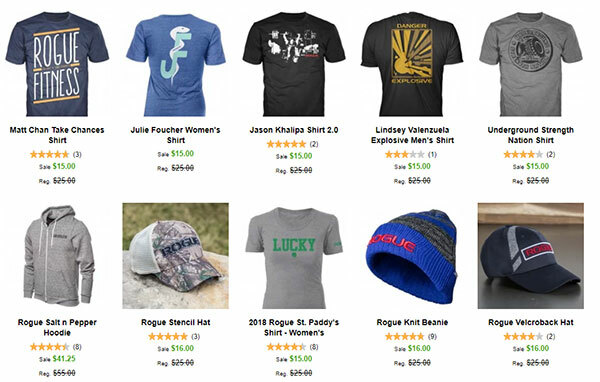 Rogue discontinues old and adds new apparel so damn fast, making this closeout section a fantastic place to get some lower cost gifts and stocking stuffers. Even better, most apparel is part of Rogue’s 3-ships-free promotion; which is exactly what it sounds like… buy 3 eligible items and they all ship for free. So it can’t hurt to look! We all know the importance of staying well hydrated; especially when we train vigorously in the heat and sweat a lot. As you also know, as we sweat, lost electrolytes like sodium need to be replaced. Water helps with the re-hydration, but it doesn’t help with electrolytes; which is why sports drinks like Gatorade and Powerade are so popular – they contain sodium and potassium. There is something that’s much more effective though: electrolyte salt capsules. I’m of the opinion that electrolyte capsules like these are far superior to sports drinks. 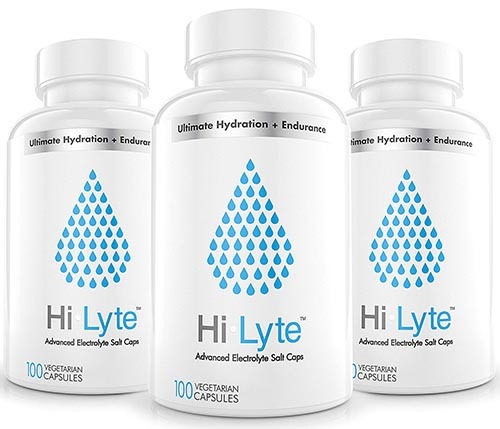 Even if the electrolyte profiles were identical, the cost to take a capsule with your jug of water is a lot cheaper than buying sports drinks; even if you buy in bulk at Costco or something. Each Hi Lyte bottle lasts for months, it travels better in a gym bag, and it doesn’t need to be put in the fridge. Hi Lyte caps are made from 100% natural, Great Salt Lake salt. They’re perfectly balanced for hydration and recovery while being a completely vegan and non-GMO product. It’s not a super exciting gift, but it’s a thoughtful gift. Shameless plug, but it’s for a good cause. Purchases made at the Garage-Gyms store help to pay for review material, hosting, and cat food. 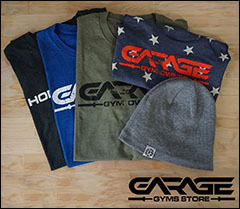 My store is relatively new compared to the age of this site and my selection is still small and growing, but I have a number of tshirts and tank tops aimed at the garage gym community. 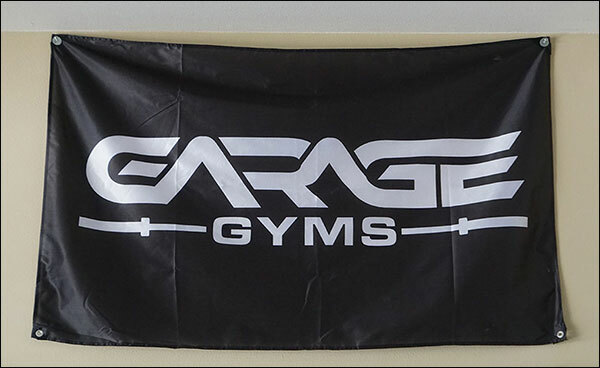 My most popular item is the Garage Gyms banner for hanging in your gym, and the Garage Gym Owner T-Shirt is second to that. I appreciate every single order. Even if you don’t see anything that appeals to you I still greatly appreciate you taking the time to look. Not a lot of explanation needed here, eh? Gift cards are just the perfect gift when you don’t know exactly what to get – especially if you know where your gift recipient likes to get their food, clothes, or strength equipment. The three cards above are obviously just examples. You know best where to get a gift card. I do especially favor the Costco idea for those who have a membership because Costco is just the bomb for things like reasonably priced bison, chicken, and steak, bulk baby carrots, protein bars and shakes, vitamins, and so much more. I personally stretch my protein dollar a lot further than I used to at the super market by going to Costco. You can also do a gift card or certificate for a major equipment company if you don’t know which particular version of an item to get, say like a barbell, power belt, or product-specific accessory. You can never go wrong giving the gift of macros; even in the form of protein shakes! 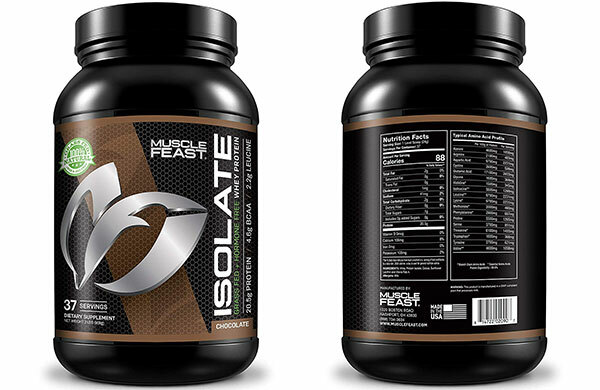 Normally I am a big fan of Gold Standard Whey, but take a look at this Muscle Feast Whey. Forget that it’s a grass fed whey isolate, forget that it’s lactose and hormone free, and even forget that it’s free of soy, gluten, and GMOs. Look at the nutrition profile of this stuff! 20g of protein and nearly 5g of BCAAs, but there is no fat, no carbs and each serving is under 100 calories! I still think no gym is complete without a Sling Shot. Maybe it’s not as important as the bar itself, but it’s up there with the power belt and knee wraps. 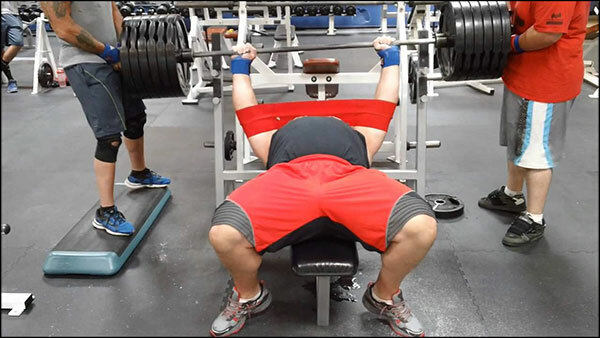 The Sling Shot allows us to handle about a 10% overload in the bench press while avoiding the pain and discomfort that comes along with pressing that much weight. 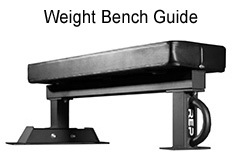 It mimics natural muscle movement by lengthening & shortening with the muscles; thus giving support on the eccentric and concentric phase of the bench press. 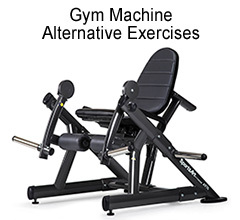 This effect can greatly reduce stress on the shoulders, elbows, and chest. If your gift recipient begins their training session with four layers of clothing on, it’s probably too damn cold out there. Well a little heat goes a long way when training in the garage, and even if they already have one heater I’m almost certain they aren’t going to complain about having two. Portable heaters come in all shapes and sizes. The less effective models are electric, while the better options are fueled by propane. 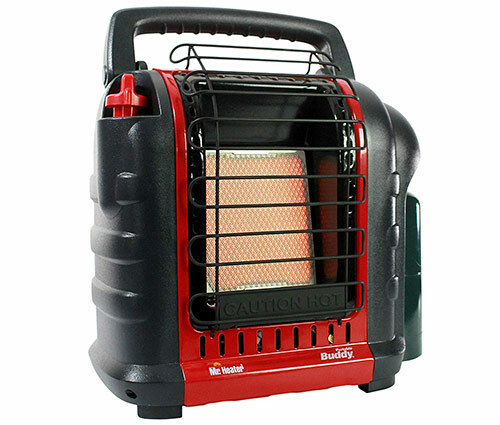 Take a gander on Amazon to see heaters that use small propane tanks and larger heaters that attach directly to a propane tank (like those you can pick up at the hardware store for your grill.) Some of these heaters are so effective that they can be completely shut off 15 minutes into a training session. Unlike most other diets out there that are about losing a ton of weight by any and all means possible, the Vertical Diet is a diet for strength and performance athletes. Created by Stan Efferding, the Vertical Diet is a performance-based, nutritional framework that starts with a solid foundation of highly bio-available micro-nutrients which supports a structure of easily digestible macro-nutrients that can be adjusted specifically to meet your body’s demands. To put all that another way, the Vertical Diet provides the body the tools it needs to perform optimally. The Vertical Diet is highly researched and was developed over many years. It’s not even a diet so much as a lifestyle, and it’s legit. The download will cost you $100, and whether you buy it for yourself or for someone else I think it’s money well-spent. SABO GoodLifts are a great shoe for powerlifters who prefer no lift in their heels. 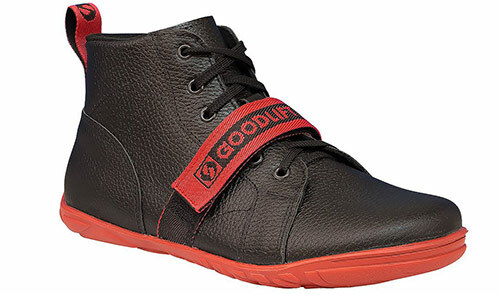 GoodLifts feature a non-marking outsole with a minimum thickness and special pattern for maximum grip. The upper is made of thick, supportive leather with a man-made line and has a 30mm durable metatarsal strap for a secure fit. Who doesn’t own a curl bar in their garage gym? It’s a staple, after all. The problem is that most people own cheap curl bars; $20 bars they found in the Wal-Mart or Academy. These things have hollow shafts, no weight to them, and knurling so weak it may as well not even be knurled. The Vulcan EZ Curl Bar is still the best-priced, premium curl bar on the market. It features a grippy, black oxide shaft with excellent knurl, bronze bushing rotation system, hard chrome finished sleeves, and it’s still only $139 delivered. You can’t really go wrong with this gift. 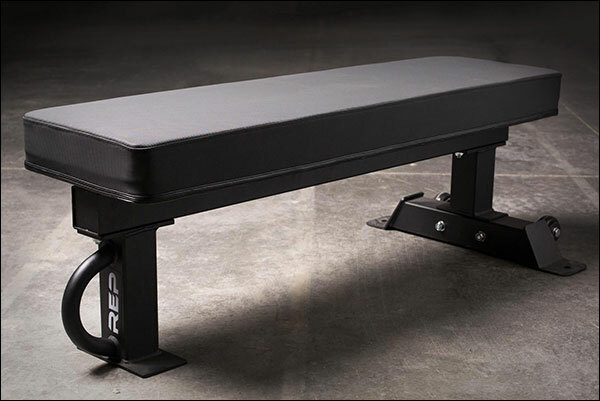 Speaking of the best-priced, premium products – the Rep FB-5000 is hands-down the best bench that $150 can buy, and the only problem with buying one of these as a Christmas gift is that the recipient might actually have it already. The FB-5000 has a strong, 11-gauge, tripod frame that sits 13″ off the ground and a default 12″ wide, 4″ thick pad that puts the total height at a perfect 17″. The vinyl used for this pad is a textured, non-slip vinyl that keeps you locked in position no matter how aggressive your foot drive is or how much weight you’re pressing. This bench has everything; even wheels. The best thing about the FB-5000 is the pricing. This bench would rock at $200; it’s a steal at $150. You can see my review on this bench here. Seriously, this the best kitchen-appliance money that I’ve ever spent. I had the Zojirushi 3-cup cooker for over five years before upgrading to the 5-cup model, and not because there was anything wrong with it! I just wanted to make rice less often! The inside pan is non-stick, and it has markings inside that tell you how much water to add depending on how much and what kind of rice you’re cooking. 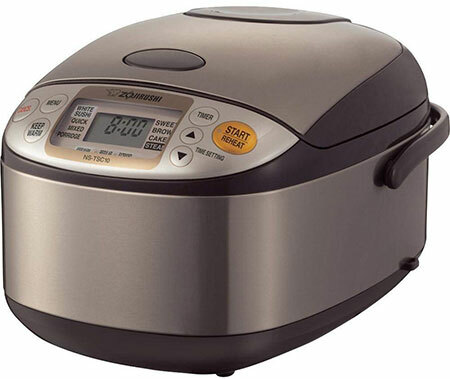 There’s a Quick Cook setting that makes rice in about 40-minutes (in case you forgot that you ran out of rice and you are hangry), and this thing keeps rice fresh for days upon days. I will never go back to a simple $30 rice cooker. Bars are a tough item to buy as a gift as their are so many different kinds of bars intended for different types of lifts and programming. If ever there was a relatively decent opportunity to surprise someone with a barbell though, it’s when they are new to strength training. 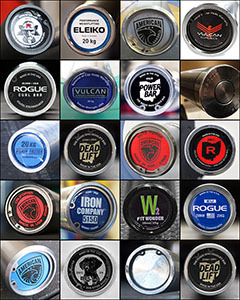 Here I’ve listed three different low-cost bars that offer a level of durability and performance that far exceeds their asking price. 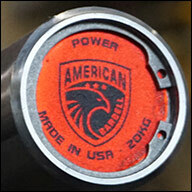 The Grizzly Power Bar is the highest-quality power bar that $250 can buy. It has a strong, stiff shaft with an excellent knurl that’s all but perfect for a newer lifter. It’s American-made, finished entirely in industrial hard chrome, and it is manufactured by arguably the best bar manufacturer in the USA. 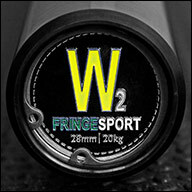 The FringeSport Wonder 2 Bar is looking to be the bar that replaces the Rogue Bar 2.0 in terms of performance, knurl quality, and price. At just $199 delivered, it offers exceptional strength, reliable rotation, better knurl than all previous gen Wonder Bars. It also has a 28 mm shaft versus the usual 28.5 mm shaft. 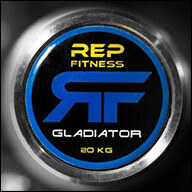 The Rep Gladiator Bar is a 28 mm, stainless steel, dual-marked Olympic bar with needle bearings for only $269. It has a high tensile strength, a moderate knurl, and carries a solid warranty for the price point. This is a great intro bearing bar that will take a novice well into their intermediate training and possibly beyond. All three of these bars would make a great gift to a novice lifter. None of them are all that expensive, yet they’ll all last and perform beautifully. Does your significant other or child want to work out in the garage, but you don’t think that you have the space? Well you just might! Space-saving wall racks are all the rage, but I am not a big fan of the folding wall racks that you keep seeing around. I prefer a slim, fixed wall rack that anchors into both the floor and the wall rather than just the wall. 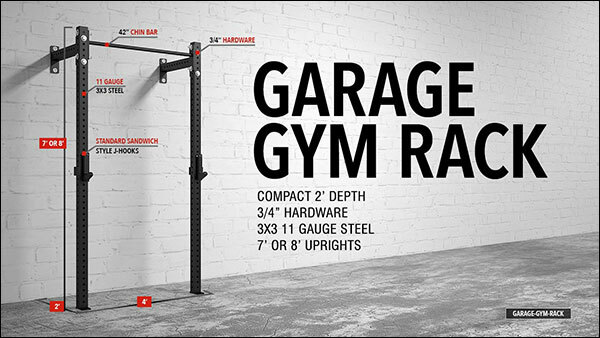 Fixed wall racks like the AB Garage Gym Rack are easier to use (zero folding or attaching pull-up bars), stronger and more stable than folding racks, and do better with safety spotter arms (which is an important accessory). 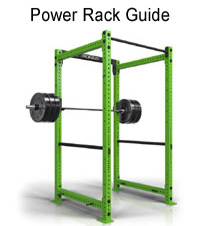 I like this particular wall rack because it’s simple, strong, slim, and affordable at only $399. It’s built with 3×3 11-gauge steel and 3/4″ hardware, it has beefy J-cups and can accept AB spotter arms, and it has so few parts that it’s super easy to install. Yeah full sized racks are better, but if space is at a premium then something like this is the way to go. I don’t actually believe that 50 kg plates are a super appropriate gift for too many people, I just know that I want some, and if I want them, someone else does too. 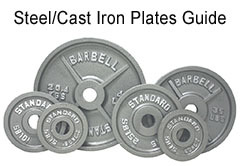 If you have to ask your intended recipient if they would like 50 kg plates then you can safely skip this product as an idea. I mean at $386 before shipping you’d kind of want to be sure. I don’t know how you’d wrap these, but you cannot tell me that you wouldn’t want to find a pile of these under (I guess next to) the tree on Christmas day. The FringeSport Competition Bumpers are literally the most affordable Comp Plates on the market right now, though they aren’t available in kilos; which is kind of a bummer for a small percentage of the US lifting population (like me!) Beautiful plates though; very vibrant color. Loved seeing Muscle Feast getting mentioned on your Holiday Gift guide. I’ve been using their products for well-over 7 years. Quality products without all the fillers at very reasonable prices. Plus as a disabled veteran myself, I always want to support businesses like Sean’s (a Service-Disabled Veteran-Owned Small Business) whenever I can! That’s awesome. I didn’t know anything about who owned it until now. Friends have been talking about Muscle Feast because of the nutrition profile and low calories and I’ve been giving it a shot lately. I like it. I’ve been wondering about the Sling Shot for awhile. 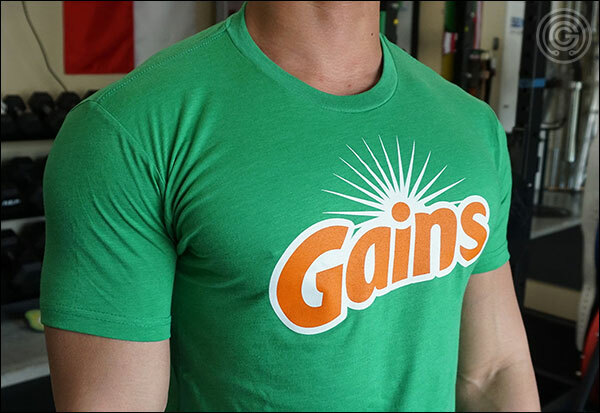 I can see it being ultra awesome in a commercial gym setting or on a stand alone comp bench set-up. But what about for those of us doing reverse bands in a squat rack? Is it adding anything to my repertoire there? Also, shocked you didn’t include your weight releasers! OMG! How did I not think of that haha… ugh! I normally end up doing a second guide before Christmas is too near, so I’ll add them to that – or just add to this if I don’t lol. Thank you for reminding me, and yes I do love those things! So I can’t do band work the way my rack is set up, but I always do band work when I have a new rack set up for a review; though I’ve never set it up for reverse band press. I would imagine that you can achieve exactly the same thing with bands, but if you weren’t already set up to do that (or you hadn’t already invested in the quantity and size of bands needed to do that) then I’d say the Sling Shot is a much simpler and cheaper solution when you’re the only one using the equipment. Now in a gym setting you’d need all the sizes; which I think there are at least five of them… so that’s not cheap either. Set up time is obviously nil for a Sling Shot, as is clean up. Slide it on, slide it off. How does one extract sea salt from the (freshwater) Great Lakes? This seems similar to a box of jackalope steaks. I was moving too fast I guess to get this post up.